This project was done in close collaboration with the client, Mark Dundon, of Seven Seeds. 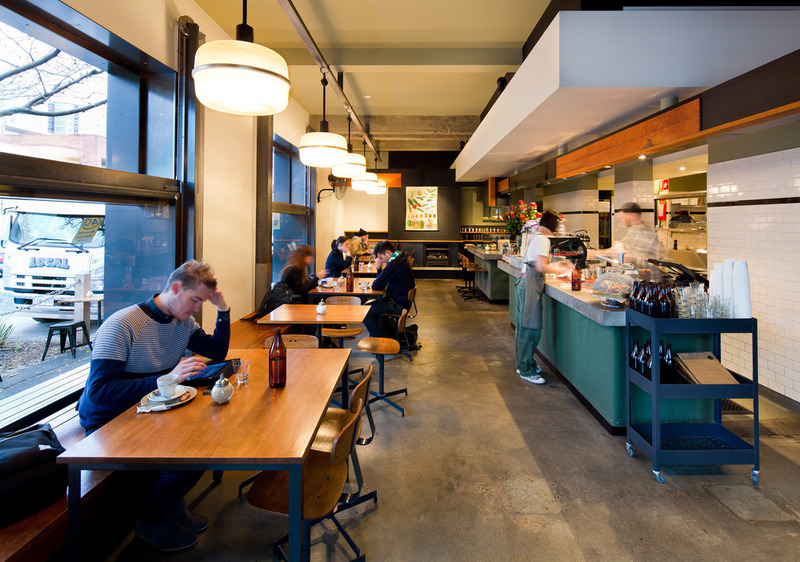 Located on trendy Gertrude St in Fitzroy, De Clieu was originally intended to be a retail space for Seven Seeds coffee, with a small café component alongside it. However, it eventually developed into the inverse – a busy café with a small retail component.The design uses simple interventions and a restrained palette to create a low key but dynamic café environment. Skillfully crafted steel was used for lift up windows above bench seating. Hewn Pine floorboards from the site were re-used for shelving and bulkheads.